Losing tiny gemstones obviously features in my top ten; it having been the prompt to making such a list! Those little gems (anything less than 5mm really) do seem to have a mind of their own. On this occasion, it was a beautiful faceted Ethiopian opal. The funny thing was, after searching for ages on the floor, on the bench, in my apron, in the wicker of the chair - just about everywhere it could have snuck - it turned up underneath my stone tumbler which sits on my work bench! It is raised just a few millimetres off the desk and is the only place I didn't check... If gemstones could laugh, I am sure that little opal would have gaffawed. 9. If you can't take the heat, get out of the studio! I have a small jeweller's torch (I like the control it gives me and I am not so fond of the bigger torches) but this can prove a tricky obstacle when it comes to heating larger pieces. I often find myself in "two-torch territory" to get that darn piece of metal hot enough to melt the solder between the two joins. The solder joins that just zip are the best ones. They really make my day. *Having Googled this, apparently diamonds have lost their title of the hardest substance on earth to wurtzite boron nitride and mineral lonsdaleite! Who knew! For all you geeks out there, here's a link to the New Scientist's 2009 article about it. I can get quite excitable about various pieces and I tend to have lots on the go at once! This can be a good thing (there are so many processes in jewellery making so having a few pieces in the making means you always have something to do whilst something is either being pickled or cooling), but it can also be quite frustrating having lots of unfinished pieces lying around. I often have a blitz and finish many pieces at the same time! The blowtorch really is the jeweller's best friend. But it seems to love timing running out of gas whilst you are mid-piece, and usually a challenging piece! The metal starts to glow and the torch starts to give a different hiss as it slows down. Will it make it, will it make it, will it....nope it didn't. Fill that torch up and start the process again. I sell at craft fairs and although this is one of my favourite non-jewellery elements of jewellery making, it has its frustrations. Every fair brings different people and it is always tough to judge what gemstones those people may be after. People can be particular about gemstones (me included - I love iolites! ), not least because they can have special meanings or sentimentality but also people have colour preferences or colours which work well on their skin tones. And so it follows - I will have every gemstone or colour I could have thought possible, except perhaps that one colour I had sold out of - but that is all that they want! That's why you need to stock up and have lots of pieces in all different gemstones and colours. I have quite a few stones I am desperate to work with which I have had in my gemstone box for a while (see pic!). I think the tumbler is my favourite piece of equipment (if I think too hard about it, I start to consider other super tools and equipment) and I often leave it to run for a good few hours to get pieces looking beautifully buff and burnished on their final polish. Of course, this means I can forget about it and always seem to remember just before I go to bed. It is at these times that the pieces seem to do their best to hide among the ball bearings. Especially those little pesky handmade ear wires or studs. I had made a silver name bracelet for my son the other day which had stuck to the top of the lid. I didn't find this until I had emptied out the whole tumbler trying to find it! This is the necessary evil.... I love connecting with customers and other makers on the likes of Instagram and Twitter. The part I dislike the most is all of the taking of the photos and all the putting of each piece into my online shops. It is a very long process, to get all of the detail right and it takes me away from doing what I love - the making and crafting! I have to really focus during this process and not daydream about my studio where my next piece is waiting to be made! I hope you have enjoyed reading this, whether you are a fellow jeweller, crafter or just happened across my blog! Tell me what you think - tell me what your own pet hates are! Tell me what you love about making. The best part of being a maker has to be sharing things with other people, and talking about what we love to do. I really never get bored of that. You can find me at my next craft fair - the Local Makers Market in Wanstead on 8 September (see my Events page). Jesse was born in April and a few weeks in, I am pleased to say I was hankering to get back in the studio to have a potter about, particularly when Jesse was sleeping and I was at a loose end. The trouble was, I was in desperate need of sleep after being up most of the night (it seemed) so any free time was being used to snooze or catch up on chores (or endless washing!). A few months in and I am pleased to say it is a different story. I am managing to get some time in the studio as Jesse has longer sleeps in the evenings. I think having a bit of a break before he was born (and after) has rejuvenated my creativity. I purchased many gemstones before Jesse was born and I have been excited to start setting them in various pieces. 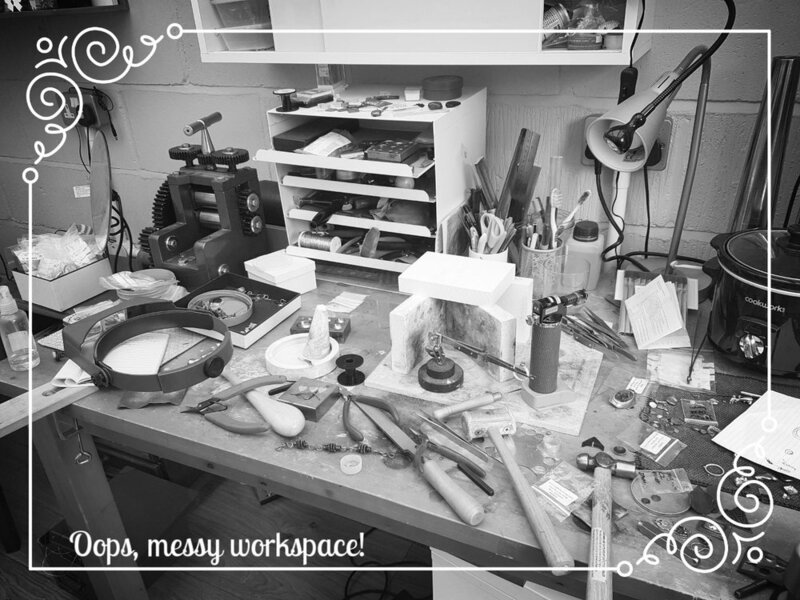 You will see that I have been very enthused about making lots of rings (tap on the photo below for slideshow). So... watch this space for additions to the website shop over the coming months. This, of course, will depend on Jesse! 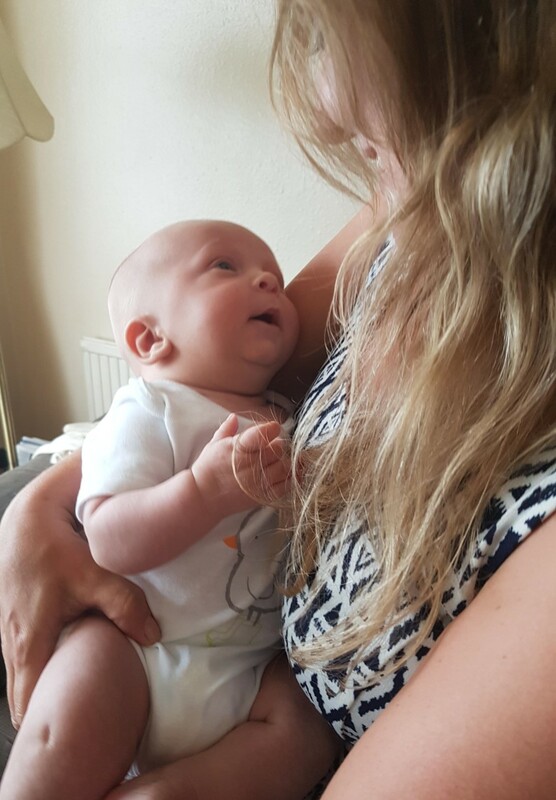 I have been rather quiet since the end of summer 2017 by way of blogging but I have been a little busy! I thought I would use the seeing in of the New Year to write a little bit about what I have been up to in the world of handmade jewellery and craft. I have been attending a few different jewellery making classes (always a student! ), temporarily side stepping the traditional silversmithing techniques I usually use. As I discussed with a(nother creative) friend recently, when you have a creative streak, sometimes it is hard to stick to just one craft or technique! I think you get bitten by the "making and doing" bug. So my first stop (and what this blog is about) is electroforming, which is a bit of an erratic (exciting?!) process essentially connecting an object to metal and then transferring that metal onto the object using electrical current. We were using copper as our base metal. I was excited to take along lots of natural objects I had picked up over the years. I also had a few I had picked up over the summer on my holidays last year to Parga in Greece and Suffolk and some I had gathered with the onset of autumn. This included an array of shells, seaglass and a poppy seed pod. I thought my bounty was good until I saw what Penny had! Sea urchins, huge acorns, starfish. It was hard to select just a few items! See the outcome of the weekend in the photograph collage. It was an interesting experience and one I am still wondering about. Some of the copper didn't quite transfer to the items, especially those which were heavily porous, despite many coats of sealant and conductive paint, and the long timings involved meant my patience was tested. But still, what a wonder to discover the results when the objects were removed from their wires and out of the chemical baths they were sloshed in! Transformed, even if a little rough around the edges! Some were then given a silver plating using more chemical processes and some were only coated partially in copper (see the shell) so that the natural beauty of the object remained visible. It was a thought-provoking weekend and one I would highly recommend. See more details by visiting Penny's website. COMING SOON: see how I got on with the inspiring ancient Korean gilding technique of keum-boo and a nature-inspired silver clay class!